Turkish Defence Minister Nurettin Canikli said his U.S. counterpart James Mattis had offered to have Syrian Kurdish forces help Turkey in its fight against Kurdistan Workers Party (PKK) militants waging a three-decade-old guerrilla campaign in southeast Turkey, the Turkish service of Russian news website Sputnik said. Canikli said Mattis had offered to have the Syrian Kurdish force, the People’s Protection Units (YPG) fight the PKK in order to create a clear split between the two groups. Turkey sees the YPG and its political wing, the PYD, as being part and parcel of the PKK. The United States, though it recognises the PKK as a terrorist organisation, says the two groups are distinct. The YPG also says it is separate from the PKK, but the two groups belong to the same umbrella organisation and share the same ideological leader, Abdullah Öcalan, jailed in Turkey since 1999. 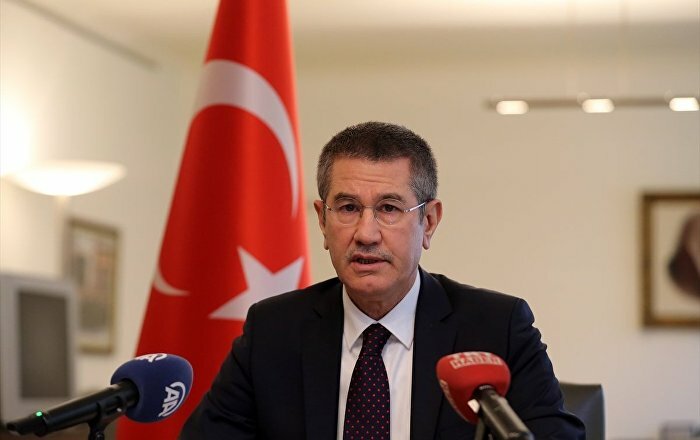 “We expressed to him that our expectation and the correct method was to work together with Turkey, not to co-ordinate with a terrorist organisation,” Canikli said. The Turkish defence minister said he saw no determination on the U.S. side to remove the YPG from the SDF, a group of forces working with U.S. troops against Islamic State in Syria. Canikli said Mattis had told him the United States had not provided the PYD or YPG with any weapons or ammunition, and that none of the weapons used against Turkey in its offensive against Syrian Kurdish forces in the Syrian district of Afrin had come from the United States,. Milli Savunma Bakanı Nurettin Canikli, ABD Savunma Bakanı James Mattis'in kendisine 'YPG'nin PKK'ya karşı savaştırılabileceği' teklifini sunduğunu söylerken, "Biz de bunun mümkün olmadığını ve hiçbir zaman YPG ve PYD'nin PKK yapılanmasından ayrılmasının mümkün olmadığını, hele PKK’ya karşı savaştırılmalarının mümkün olmadığını söyledik" dedi.